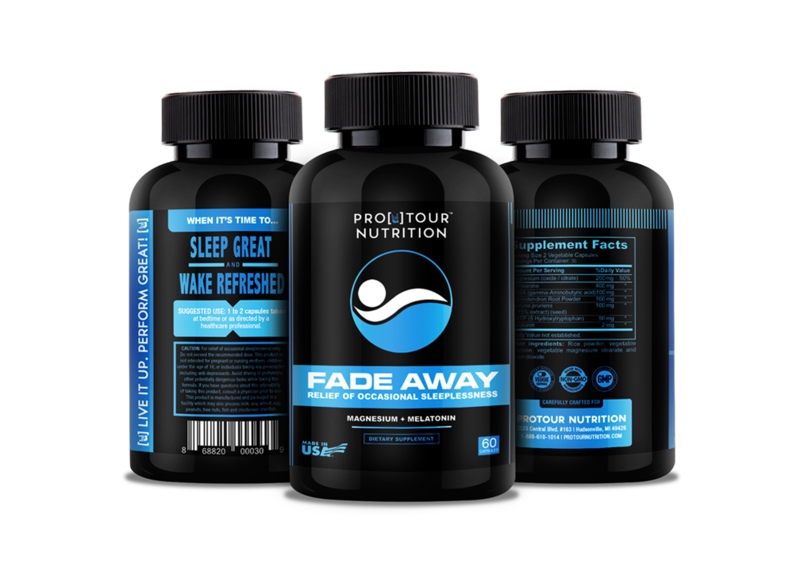 FADE AWAY - Natural Sleep Aid with Magnesium & Melatonin - Sleep Well, Wake Refreshed - Non-Habit Forming Sleep Supplement - 60 Veggie caps ★ SLEEP WELL, WAKE REFRESHED! - That’s our promise to you from our expert formulators or your money back! Fade Away is an all-natural complex to help adults calm anxiety, ease restlessness, and drift you into a deep, restful, all-night sleep. You’ll wake up feeling refreshed and ready to face the day without the ‘hangover’ you can get from most sleep aids. 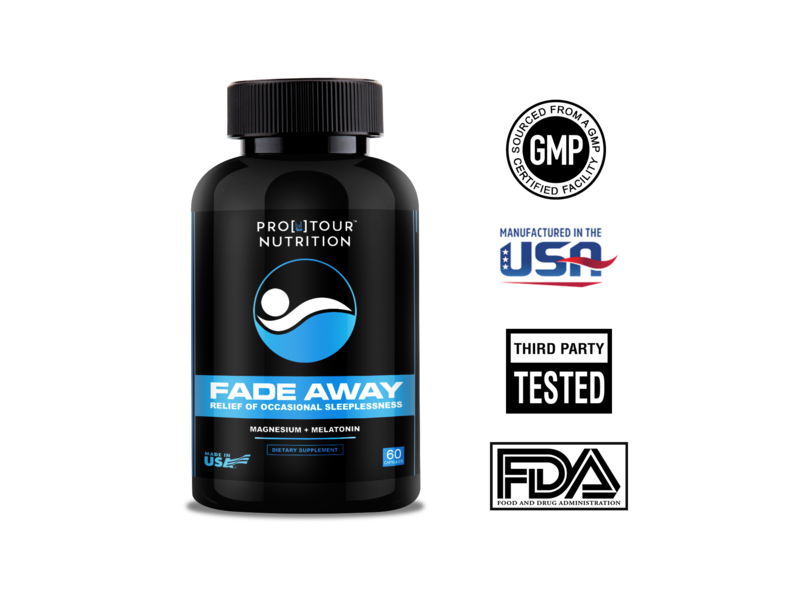 ★ ALL-NATURAL SOLUTION - You can rest assured knowing that Fade Away is made with natural, non-habit forming ingredients - even our capsules are vegetarian! 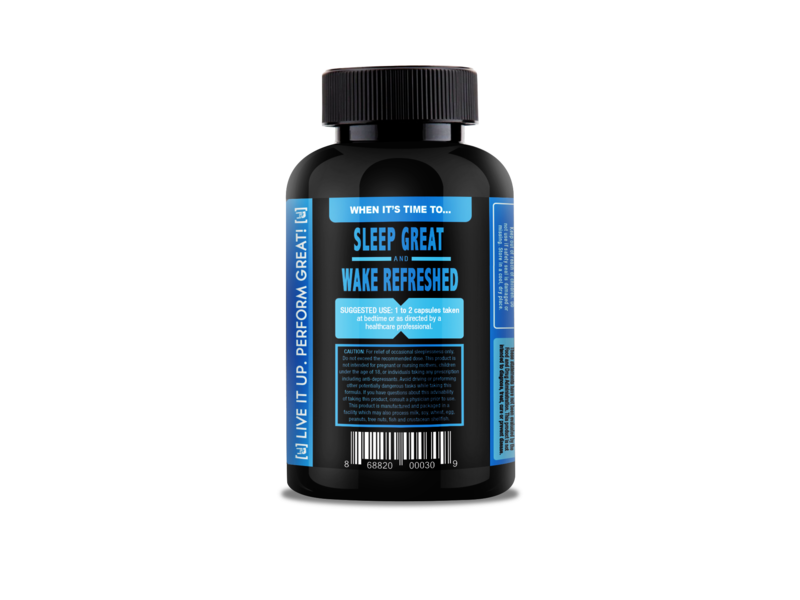 You can expect the best sleep of your life, without worrying about the side effects that other sleeping pills sometimes have. ★ RISE & SHINE! - Most of us roll our eyes at that statement, but you will be surprised at how energized you’ll feel every morning after you’ve got a great night’s sleep. Have more productive mornings, and get your work day started off right! 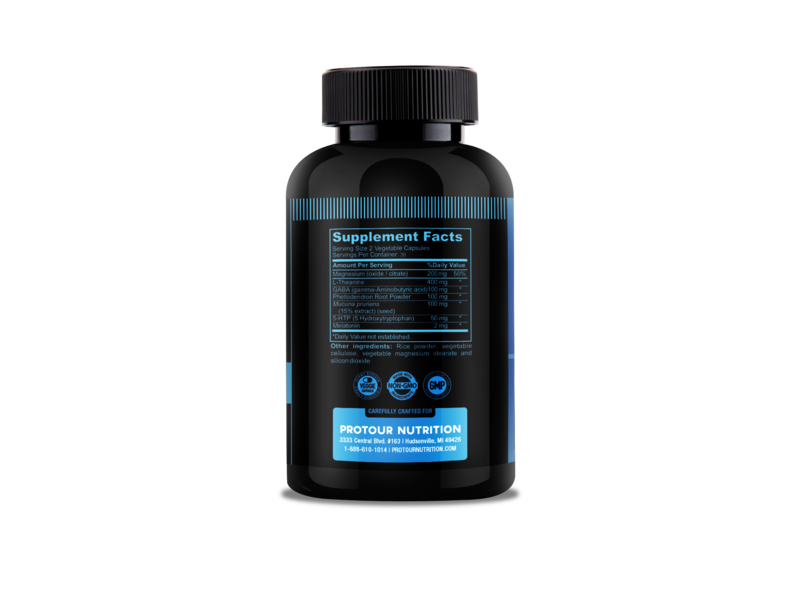 ★ EXPERT-FORMULATED - The Team at ProTour Nutrition prides themselves on combining the ancient wisdom of Eastern herbal tradition with modern research to bring customers superior, synergistic herbal blends. Adding just the right amount of each ingredient to maximize customer results is our passion. We can confidently say that Fade Away is formulated to give you a great night’s sleep AND a refreshed, energized morning. We take it every night! Consider getting two for uninterrupted usage. If you're ready to pass out and have a great sleep then click "Add to Cart" now to experience the restful sleep Fade Away brings! Bottom line, Fade Away employs natural ingredients and time-tested wisdom to put you to bed. You will love it! Click 'Add to Cart' now to experience the natural power of Fade Away! 100% SATISFACTION GUARANTEE – If within 30 days your unhappy with your product in any way just send it back to us and we will fully refund your purchase price. No questions asked. MAGNESIUM Well known for its ability to relieve insomnia. One study found that it helps decrease cortisol, the “stress hormone” that can keep you up at night. It also helps muscles relax, to give you that calm “sleepy” feeling and help you unwind after a long day. L-THEANINE Better known for improving sleep quality. Generally speaking, the more REM sleep a person has, the better the quality. When looking at supplements which will help us quiet the mind and rest, it’s important to address these base issues, and stop insomnia before it starts. That’s why L-Theanine for sleep is so popular – it cuts the stress before it becomes sleeplessness. GABA Gamma-aminobutyric acid (GABA), an amino acid, is the major inhibitory neurotransmitter in your central nervous system. That is, your body uses GABA to dampen nerve activity in your brain, which leads to feelings of calm and relaxation. PHELLODENDRON BARK Has been a centerpiece of Oriental medicine for several centuries. The bark has been used to treat ailments of insomnia and helps in relaxation by reducing anxiety. Phellodendron bark also acts as a supplement for overall mental and physical well-being. MUCUNA PRERIENS One of the best food sources of the amino acid L-dopa, a direct precursor to the hormone dopamine. Through raising low dopamine levels, mucuna pruriens can have a positive effect on motivation, attention, mood, relaxation, libido, sleep and many other areas. 5-HTP The naturally produced 5-HTP comes from the amino acid tryptophan which works in your brain and central nervous system by promoting the production of the neurotransmitter serotonin and thereby may help boost mood and enhance sleep. MELATONIN Is a hormone made by the pineal gland, a small gland in the brain. Melatonin helps control your sleep and wake cycles. If you're ready to pass out and have a great sleep then click "Add to Cart" now to experience the restful sleep Fade Away brings! Bottom line, Fade Away employs natural ingredients and time-tested wisdom to help you get a good nights rest. You will love it! Click 'Add to Cart' now to experience the natural power of Fade Away!